EverQuote cofounders Seth Birnbaum (left) and Tomas Revesz. There’s a high-tech startup in Kendall Square that has hired 50 new workers in the last five months, expects to generate roughly $100 million in revenue this year, and is moving quickly toward an initial public offering of stock. And hardly anyone has heard of it. The little-known company is EverQuote Inc., a comparison-shopping site for auto insurance, and the reasons for its relative anonymity can be distilled to one basic fact: It looks almost nothing like the stereotype of a hot consumer technology firm. 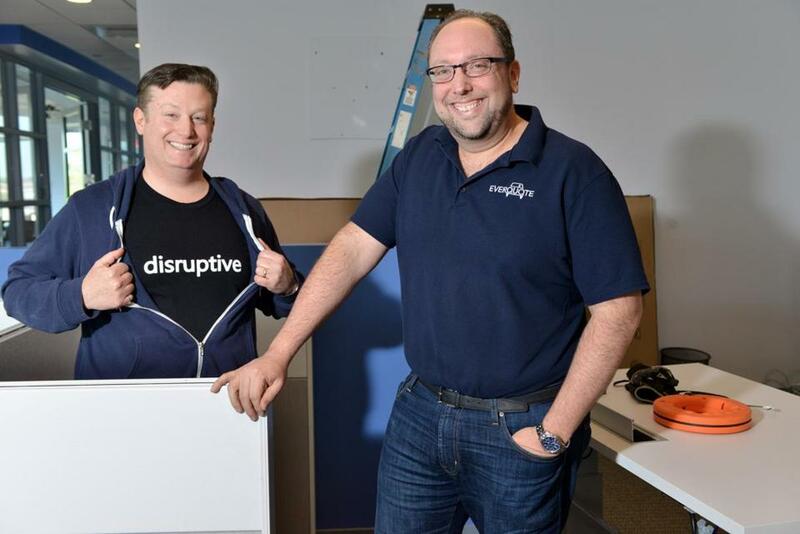 On a recent day, Birnbaum wore a hooded sweat shirt over a T-shirt with the word “disruptive” on the chest, poking fun at younger tech types who overuse the term. Besides a $1 million investment from Link Ventures, the longtime friends have stayed out of the venture capital game, bootstrapping their way to more than 130 employees. And while many startups chase millennials, trying to mimic the viral appeal of Snapchat or Tinder, EverQuote’s business isn’t aimed at young people. The strategy has nothing to do with the founders’ own ages. It’s just that their research shows 95 percent of the people who buy auto insurance are over 30. To review: Boston’s next tech IPO could come from a couple of old dudes who don’t pitch venture capitalists, don’t market to twentysomethings and, until now, haven’t cared about hype. Without wider brand recognition, Birnbaum and Revesz feared EverQuote would hit a ceiling, so they plan to step up marketing efforts. Expect to see EverQuote television commercials before long. The model for this kind of strategic change is Wayfair Inc., the Boston-based home goods site that quietly built a $1 billion revenue stream before deciding ahead of its IPO last fall that it was time to become a household name. Promoting EverQuote means explaining yet another oddity of this unconventional business. When a consumer searches EverQuote for a car insurance policy, the one thing the site is not likely to reveal is price. The reason is simple: Most car insurers do not provide EverQuote with rates for their policies. Middle-agers Tomas Revesz and Seth Birnbaum, EverQuote cofounders, are proof that high-tech, Kendall Square-based startups are not just for the young. Their auto insurance shopping site is geared to consumers 30 and older, the people most likely to buy car insurance. The absence of a dollar figure may be jarring to anyone who has booked flights and hotel rooms on sites like Kayak and Orbitz, where competitors’ rates are displayed prominently. But in the insurance industry, it’s not uncommon for companies to withhold exact prices for their policies from outside websites. So instead, EverQuote matches consumers with a short list of companies it believes will provide the best fit, based on the profile each new user fills out. EverQuote’s prediction technology relies on the buying patterns of previous customers. A driver using the site will be steered toward the insurers most often selected by people with similar profiles. EverQuote collects referral fees from insurance providers when customers buy policies, but it doesn’t allow companies to pay to be included in its recommendations. EverQuote’s pool of previous users now exceeds one million. As more people use the site, its predictions will get better. That’s the theory behind big data, one of the trendiest concepts in tech. 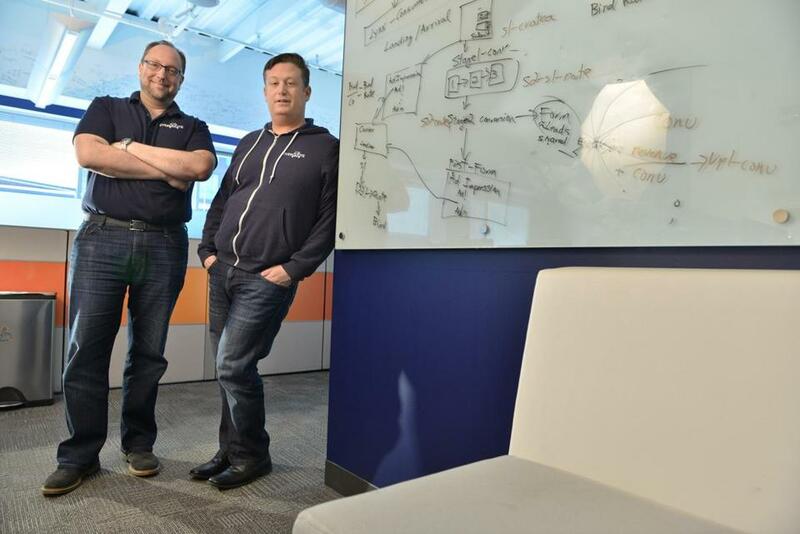 While Birnbaum and Revesz have jumped on the big data bandwagon, they aren’t caught up in much else of the startup culture. You won’t find them on the local pitch contest circuit, clamoring for exposure. You will find cubicles in their Cambridge office — almost unheard of on a startup scene that glorifies open workspaces. The EverQuote founders aren’t into what’s hip. After all, they’re in the unglamorous business of selling auto insurance. “This isn’t a market that’s Snapchatable,” Birnbaum said.